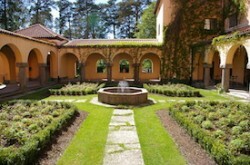 Welcome to the Sigtuna Foundation Hotel & Conference. From its establishment in 1917 and onward, the idea has been to create the best circumstances for meetings. Strategically located in Sigtuna, only 17 minutes to Arlanda airport, you’ll find the small town charm as well as the entire world at your fingertips. We cater to large and small meetings year round. Hope to see you soon! 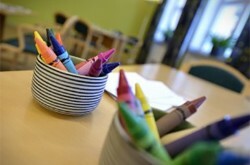 Creativity, openness and reflection are meaningful catchwords for us here at the Sigtuna Foundation. We do our best to bestow this on your experience with us. Our labyrinth of rooms and passages offers many unique meeting environments as well as generous lounges both indoors and outdoors. We offer over 20 conference rooms differing in size and character, but not quality. Equipment – each conference room includes a wireless internet, whiteboard, projector, fruit, water and other material your group might need. Our largest conference room seats 180 people and our hotel has 62 guest rooms and 92 beds. Group rooms – the Sigtuna Foundation has in addition to conference rooms, smaller group rooms available for conversations and collaboration for up to 8 people. Click the on names in the table below for more information about the conference room. Food and beverages are important parts of the experience during a conference at the Sigtuna Foundation. Our restaurant highly value cooking from scratch, with organic or locally produced ingredients as far as possible and seasonal menues. Our baker will make sure that there is always freshly baked bread for breakfast and lovely pastries that keep the energy levels at the peak during the coffee break. Our lunch consists of a generous salad buffet, soup and home-baked bread and two hot dishes, one of them always vegetarian. The dinner menu that you experience as a conference guest begins with “bread, spreads and greens”, a nice starter that inspire conversations around the table. Then we serve two middle courses with fish and meat, and finally, a well-composed cheese and dessert buffet. Our sommelier will gladly recommend suitable drinks from our selection of wine and beer. 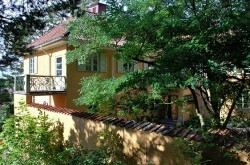 The Sigtuna Foundation is unique. Take the opportunity to be guided through the labyrinth of buildings, all which hold many stories within their walls and passageways. 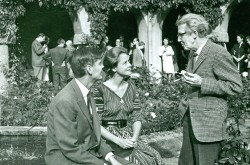 Its role in modern history is as important as its role in inspiring authors. 1-hour walking tour given in English. For booking and inquiries please contact us. 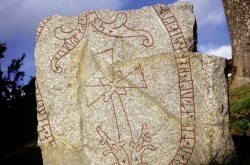 Follow 1000 years of history with ancient rune stones, centuries-old church ruins and Sigtuna’s picturesque town hall from the 18th century. This 1-hour walking tour given in English. RC Chocolat has been honored as “Sweden’s Best Café” by White Guide, one reason being the pralines made on site. 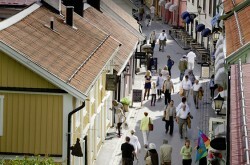 Visit Sigtuna’s “chocolate factory” and mix business with pleasure. 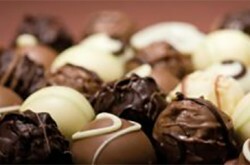 You will listen to experts and taste different chocolates. In cooperation with RC Chocolat. Why not exchange wine tasting for beer tasting this round? Our beer sommelier can teach you about different beers and food pairings to each. 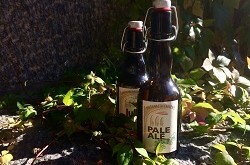 Naturally you’ll try the Sigtuna Foundation’s own craft beer and locally produced sausage. This 1-hour experience can be given in English. Silence is a luxury in today’s stressful society. 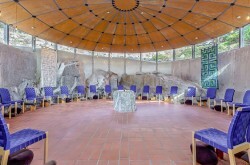 Visit the Sigtuna Foundation’s meditation room, “The Crypt” (“Kryptan”), for a mini-retreat where a knowledgeable guide will assist your group in the art of being quiet. A team building activity that blends together technology and experience, with help of iPads. Fifty challenges are given, some silly, others tricky. Engineer and photo nerds alike will find something here. Winners receive a golden trophy. In cooperation with PULS. Participants divide into groups and receive a canvas, easel, brushes and paints – as well as protective aprons. Each group then receives a theme to interpret and paint in their own, special way. Each piece is later combined for the final, Big Picture! In cooperation with PULS. 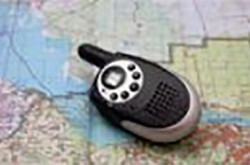 A fun, communicative contest where participants navigate with help of Walkie Talkies. This is a true challenge as well as adventure within the “a-maze-ing” buildings here at Sigtuna Foundation. This experience works best with cooperative and creative minds. In cooperation with PULS.